Wow, I can’t tell you how thrilled I was to have Janelle from Emmaline Bags snag a Premium Ad Spot for September! Emmaline Bags was started from a small fabric obsession that turned into making her own designs and turning them into handbags and purses. Janelle decided to “put herself out there”, and Emmaline Bags was born! Janelle is all about sharing her ideas, patterns, and products on her blog, Emmaline Bags. You can find PDF Downloads of her patterns, and then choose fabric to make your own unique bag. Also, she generously shares sewing tutorials as well as the skill level for each pattern. In her shop, you’ll find the Steph in the City, Emmaline, and Tear Drop Bag patterns, along with hardware to make your bag unique. Not only does she sell her patterns, but they come with over 100 pages of pictures, step by step details, and everything you need to create your bag. I so wish I could sew, because I know for certain I would love to make an Emmaline Bag. I think that is my FAVORITE of her patterns. 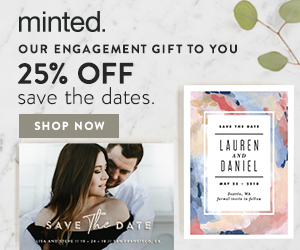 This month, Emmaline Bags is offering My Favorite Finds readers 15% off with the code SEPTEMBER. 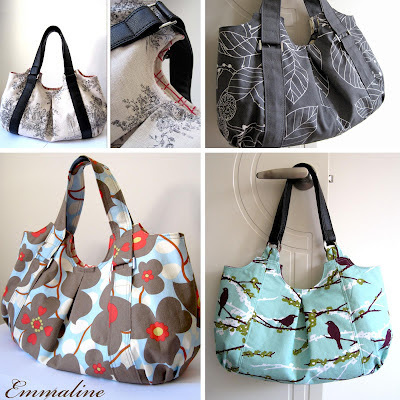 I think if you are looking to start sewing, or delve into handbags, then you’ll want to start with a pattern from Emmaline Bags. These are gorgeous – my head is spinning with fabric ideas. I'm heading over to her website right now to check it out! !